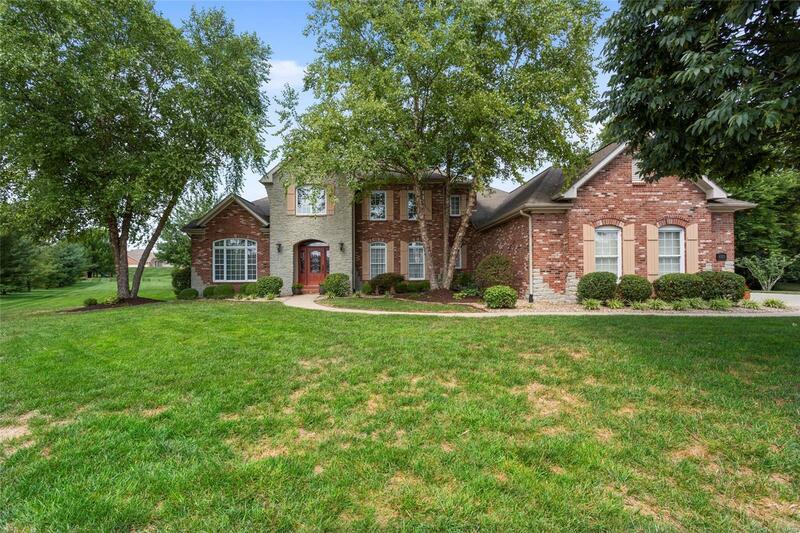 Exquisite 3 sides brick home- Enjoy hot days from the covered patio w/ fan, or head out to the spacious brick patio & soak in some sun. Step inside to the 2 story entry foyer to find french doors leading to the den on your left & formal dining room w/ coffered ceilings on your right. The impressive kitchen boasts hardwood floors, staggered maple cabinets w/ crown molding, upgraded self pull cabinets, center island, newer appliances, large walk in pantry & breakfast nook w/ walkout to the patio. The hearth room features a built in book shelf & see through fireplace looking into the family room complete w/ 18' ceiling & floor to ceiling atrium windows. The luxurious master bedroom suite features tray ceiling & attached master bath w/ dual adult height vanities, corner tub, walk in shower & walk in closet. Step upstairs to find bedrooms 2-4, hall bathroom & jack & jill bath w/ walk in closets. The exquisite lower level finish includes wet bar, game room, media room, rec room, & 1/2 bath.